Discussion in 'The Lounge' started by N8 v2.0, Sep 6, 2005. 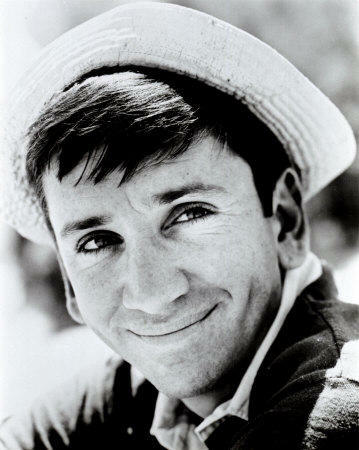 LOS ANGELES - Bob Denver, whose portrayal of goofy first mate Gilligan on the 1960s television show "Gilligan's Island," made him an iconic figure to generations of TV viewers, has died, his agent confirmed Tuesday. He was 70. Denver, who underwent quadruple heart bypass surgery earlier this year, died at Wake Forest University Baptist Hospital in North Carolina, according to agent Mike Eisenstadt. Denver's death was first reported by "Entertainment Tonight." I think I'm gettin' old. I don't think I want to see those 2 chicks naked at their age now. WTF are you talkin' about, Hick? Your probably getting there, might even be there if you think maybe Maynard G. Krebbs was a better character than Gilligan. I might be the only one around here who knows who Chatsworth Osborne Jr. was. I only saw GI in reruns after school. He was twice removed from his mothers side. I used to watch that show when it was on when I was about 5. It was funny. Why's everybody so sad? C'mon he's with the Skipper now, lighten up. And Thurston and Lovey, too. I wonder why Stinky, bumped this thread. becasue he felt he was everyone's little buddy and is now gone? I thought I was gonna hear that Bob Denver came back to life. The professor brought him back to life using some coconuts and palm fronds. By tickling him and wearing a coconut bra??? I don't want to know about your weekend!